A place to share ideas and recipes to incorporate rituals into our daily lives. After 5 years of a successful soap business we love to share our expertise. In doing so we have a wonderful opportunity to learn from so many who practice their craft. How can we be Pagan every day? We love our path and what we do but we get so caught up in 'stuff' that sometimes we forget how SIMPLE the natural path can be. How can we incorporate daily rituals into our lives? How can we make it fun? Paganism in it's beauty is a simplistic belief. Taken from one of the Aurorae Visions workshops, "Thinking Green", Donna and Jeff share their knowledge. One thing we have learned is that we never know everything about anything and we know less than we thought we did. So we are hoping to learn from other members of the group as well. 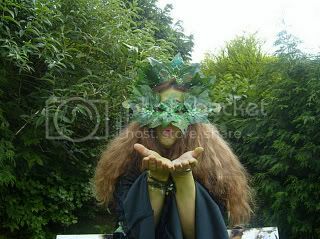 You need to be a member of Living in the Craft - Rituals and recipes for daily living in the 'Green' to add comments! Hey all! I have a new blog on Pagan Living. Check it out and plz let me know what you think! Greetings my Brothers and Sisters of the Craft, I would like to invite you all to check out my latest group called TGIF, please join and lets all share our knowledge, answer some questions and befriend new members.